The reader himself also enters something of an uncanny valley in the novel’s construction, though this is more likely to result in dizziness than nausea. Told from the point of view of two different characters, though not chronologically, and with other texts inserted at regular intervals, the novel is something of a puzzle, requiring the reader to keep careful track of events. A gap between novel simulation and reality is created by one of the charters sharing the same name as the author, though Setz has said this is simply a result of originally writing in first person, changing to third when he admitted to himself that the narrator basically shared his personality. 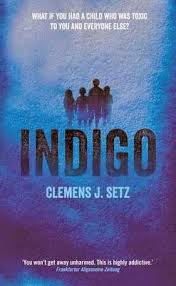 Clemens Setz (the character) comes into contact the Indigo children (the author plays a clever game where, as he moves back and forward in time, the acceptable term for referring to the children changes) when he works at the Helianau Institute, where many of the children from Austria have been placed. His time there ends after an altercation with the Head of the Institute, Dr Rudolph, over the ‘relocation’ of the children. Over the next few years he investigates the events surrounding the Institute, compiling folders of evidence, some of which is reproduced in the novel. The author presents Setz in a nuanced way that leaves the reader uncertain whether he is uncovering the truth or dangerously obsessed. When he reads that Setz has been acquitted in a murder trial he slowly develops a desire to see him and find out what he has uncovered. This summary makes the novel seem like a straight forward thriller, but Setz’s story is not told coherently, and Tatzel’s lack of 100% humanity makes his motivation difficult to understand. It is also scattered with further texts, some more clearly linked to the main narrative than others – it begins, for example, with a (true) story about the use of steel from the German fleet scuttled at Scapa Flow. 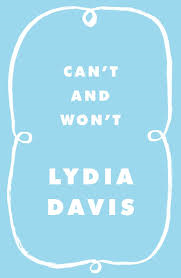 In some novels this can, of course appear gimmicky, but here I found it worthwhile as the reader’s experience of the novel reflects society’s reaction to these children. In this way it explores a very modern anxiety which arises from a belief we should be able to understand and therefore control everything coupled to a realisation we cannot – something that is experienced by most people in relation to their children, but might also be a reaction to much of the modern world. This is a demanding but rewarding novel which will hopefully find a readership beyond it’s the one its rather pulpy cover suggests. 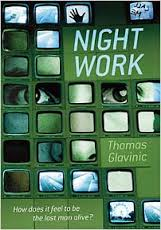 My first exposure to the work of Austrian writer Alois Hotschnig came when Peirene Press published Maybe This Time in 2011. Peirene are often the first to introduce a writer to an English speaking audience, but on this occasion Hotschnig had appeared once before when his third novel, Leonardo’s Hands, was translated by Peter Filkins in 1999 for the University of Nebraska Press. Leonardo’s Hands is a novel rather than a collection of short stories, but it still feels fragmented, its central experience broken into narrative pieces which the reader must put together, not inappropriate for a novel concerned with the healing process. As by this time we have acclimatised ourselves to the fact that the novel’s protagonist, Kurt Weyrath, is a part of an ambulance crew (or rescue worker in the terms of the translation), our initial reaction to the news report (one of a number of different texts to be found in the narrative) is that chronology is intact. It soon becomes clear, however, that Weyrath is the fleeing driver and his subsequent career change is an attempt to redeem himself. (In his introduction, Filkins tells us that Rettung, the German for ‘rescue’, also means ‘salvation’). Eventually Anna does wake up and the novel’s second half goes on to chart their relationship. Anna has, of course, been a blank space until now; her character almost incidental. In what develops Hotschnig demonstrates the complexity, perhaps even the futility, of atonement. Leonardo’s Hands (the title refers to Da Vinci’s Annunciation where Anna feels the message is conveyed and accepted by the angel and Mary’s hands) is a short novel (less than 150 pages) but its style means that it feels like a long journey for the characters– the reader is filling in the gaps, after all. For the same reason, despite our access to their inner lives, our understanding is only partial. When, towards the end, Anna says about their story, “We have something on our side that doesn’t really exist, we call it the truth. We will clear ourselves through inconsistencies,” she is to some extent describing Hotschnig’s approach. Filkins likens it to trying to understand a crisis by channel –hopping between interview, report, analysis. This gives the novel an invigorating urgency that is difficult to resist. The Swiss writer Friedrich Durrenmatt is perhaps best known as a playwright, but among his other writing is a number of detective novels, including the two collected here by the University of Chicago Press, The Judge and his Hangman (1950) and Suspicion (1951), both translated by Joel Agee. You will frequently see them described as ‘philosophical’ detective fiction, as Durrenmatt uses the form to explore issues of morality, but if you also take this to mean that they are in any way lacking as examples of the genre you would be mistaken. The Judge and his Hangman is a carefully constructed puzzle in which layer upon layer of mystery is unravelled until only in the final pages do we understand the truth. 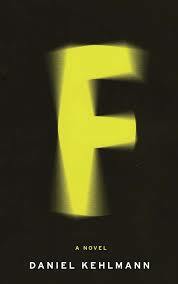 Suspicion is a bleaker, more direct novel, where tension rather than mystery is Durrenmatt’s main weapon as he places his protagonist in more jeopardy than in perhaps any other crime novel I have read. It is in this conversation with Gastman that we discover their relationship dates back forty years when, as a result of Barlach’s proposition that to commit a crime “is an act of stupidity,” Gastman vowed to do so in his presence without Barlach being able to prove that he did it. Barlach has been hunting him ever since, giving the novel a Sherlock / Moriarty feel, with Barlach’s solution revealing the moral ambiguity at the heart of crime and punishment, the novel’s title noticeably referring only to judgement and retribution rather than truth and justice. 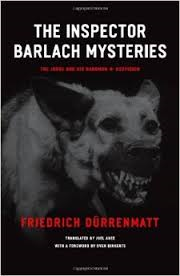 While the novel begins in traditional detective mode, with Barlach uncovering a number of clues that Emmenberger might be Nehle, it changes tone when he decides to have himself admitted to Emmenberger’s clinic, an undercover operation that is in fact a confrontation between good and evil. Anyone who has experienced the powerlessness of being a hospital patient, even under 21st century conditions, will quickly identify with the danger Barlach has placed himself in by challenging Emenberger (including paying a journalist to publish a story alluding to the connection). The atmosphere of the scenes which take place in clinic have more in common with the horror genre than the detective with their use of the grotesque and ‘trust no-one’ trope. I would highly recommend these novels (especially in this handy one volume format) to anyone who enjoys detective fiction, but I don’t feel a love of the genre is a prerequisite: these are the kind of detective novels which demonstrate the way the form can be used to examine morally complex issues while remaining a page-turning read. Not many writers inspire an adjective: Dickens, of course, Rabelais, and, above all, Kafka. This intimidating legacy has not encouraged other writers to leave well alone; from Alan Bennett to Haruki Murakami, the Kafka legend has been plundered and parodied, and now German author Michael Kumpfmuller (a name unlikely to be extended to descriptive use) has chosen to fictionalise the last year of his life in the novel The Glory of Life. Fourteen years ago Kumpfmuller published the comedic Adventures of a Bed Salesman, also translated by Anthea Bell into English. Two novels since have failed to attract the attention of UK or US publishers, and it can probably be assumed that the Kafka connection (and Haus Publishing’s focus on literature in translation) helped this fourth novel get noticed. Soon they are planning their life together in Berlin, where they do eventually spend many happy months together despite food shortages and rampant inflation. (While they are far from wealthy, they are never quiet poor, and the sources of their income remains something of a mystery). Kafka had been diagnosed with tuberculosis in 19717, and his condition had to be carefully managed, eventually deteriorating to the point he has to be readmitted to a sanatorium. The novel ends with his death in 1924 (as a factual event, this can hardly be termed a spoiler). The Glory of Life is a touching love story, with Dora’s devotion to Kafka often affecting. At this point in his life Kafka was writing short stories, including ‘The Hunger Artist’ (ironically weeks prior to his death from starvation). 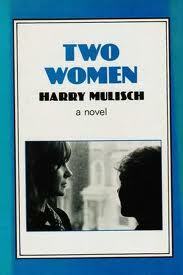 His writing is mentioned frequently, yet the novel sheds little light on it. It is an activity he undertakes as opposed to an intellectual process that is revealed to us. Of course, that may not be Kumpfmuller’s concern, but then why chose a writer as your central character if his writing does not interest you? I enjoyed The Glory of Life and its recreation of Kafka’s final year. Kumpfmuller’s attention to setting is a particularly interesting – though Kafka is in some ways remote from ordinary life, the novel also shows him immersed in it. My misgivings lie in the novel’s inability to give us much insight into Kafka the writer – and also in the irony that he has somehow become trapped in a rather conventional novel. 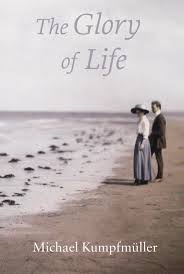 Thanks to Lizzy at Lizzy’s Literary Life for my copy of The Glory of Life. For this reason perhaps, it’s a family novel in which the members of the family are rarely together. Only in the first chapter, a family trip on which Arthur takes his three sons to see a hypnotist, do they seem at all united. Despite his protests that hypnotism will not work on him, Arthur is led to the stage. He answers Lindeman, the hypnotist, honestly – he’s a writer whose work is largely unpublished living off his wife’s money. “Maybe ambition would be an improvement,” Lindeman tells him, “Starting today you’re going to make an effort. No matter what it costs.” Arthur is still dismissive of the hypnotist as they leave, but when he drops Martin off at his mother’s, he also leaves Eric and Ivan (he has remarried). He drives off and his sons do not see him again until they are adults. Ivan, having decided that his own artistic talent didn’t stretch to genius, is forging paintings for the artist’s estate which he administers. Kehlmann connects the narratives using events like the lunch which Eric and Martin share (we see it from both brothers point of view) and characters such as the boy in the Bubbletea is not a drink I like t-shirt. He also includes a chapter called ‘Family’, purportedly written by Arthur, which traces his family back over generations in a way that makes life seem bleak and meaningless. Rarely does a novel so easily read, ask the reader such difficult questions. You are currently browsing the 1streading's Blog blog archives for November, 2014.